When Cees Fick has built his first Vincent Café Racer, the Dutch workshop had already a few specials to its credit, all installed in a Norton Featherbed rolling frame. 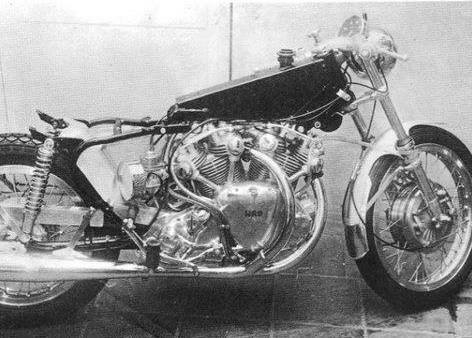 For the first one, Cees Fick used the Ariel 1000 Square Four powerplant and installed it in a Norton frame, a combination that is commonly called Noriel. 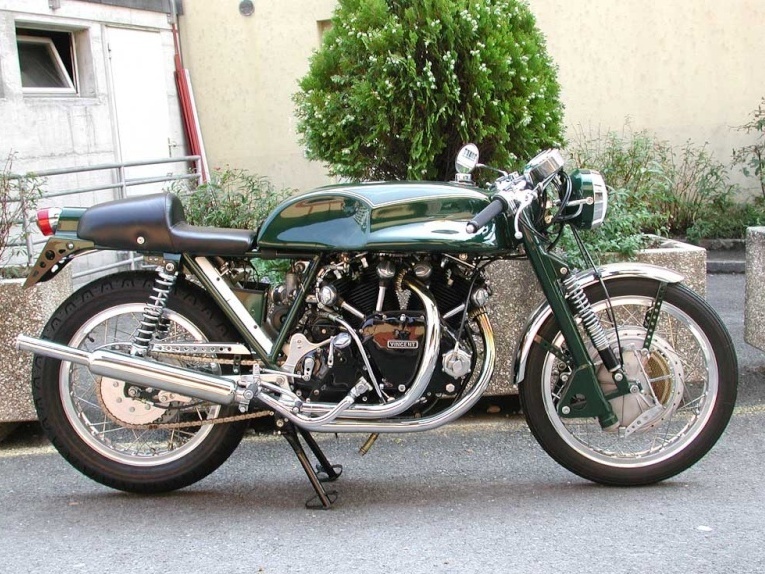 The second one was more exotic as the engine was a car: a 1000cc 3 cylinders originally made by Lloyd (1), and the third one was also an interesting and original blend using a Harley Davidson WLA 45 with transplanted \Matchless cylinder heads. 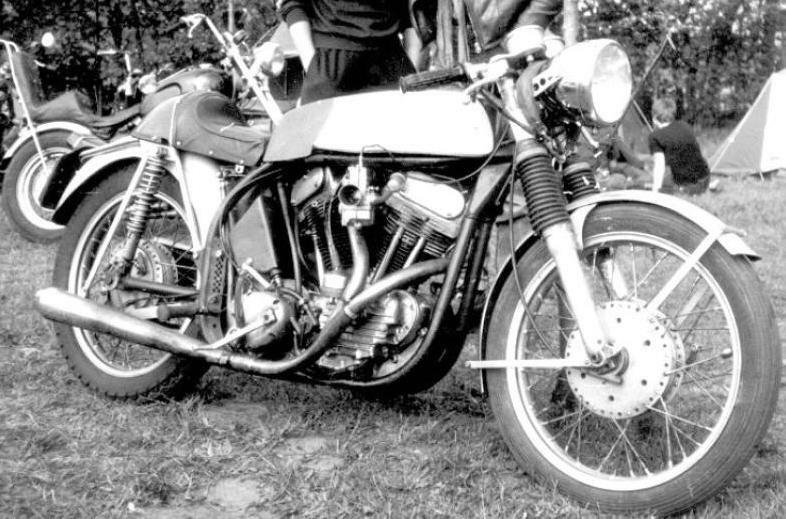 Then came the opportunity to buy on auction, three Vincent engines and a box of parts belonging to the controversial Dutch Poet Jan Hanlo, who died in a crash in 1969. 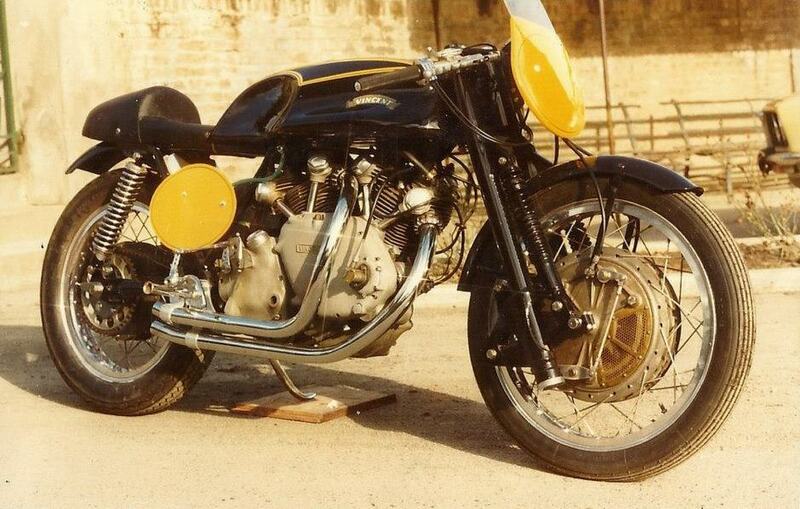 Hanlo was a big Vincent fan, owning a Black Lightning and a Rapide on which he had his fatal accident (2). From all these parts, Cees Fick had assembled 4 engines and 4 Café Racers. 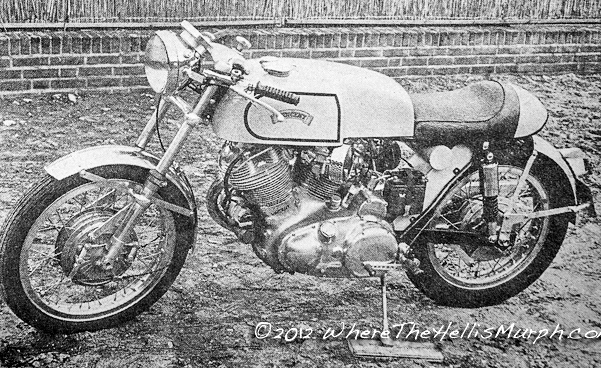 As his first three specials used the Norton Featherbed frame, logically Cees Fick’s first Vincent Special had to be a Norvin. However for following one, Cees Fick showed more originality as he designed a dedicated rear frame section supporting seat and fender, which was bolted to the stock UFM (Upper Frame Member) while the swinging arm was anchored classically to the Vincent engine. As anyone would expect, the Girdraulic was replaced by a telescopic model from Ceriani with a 200 mm Grimeca 4-cams. The net weight was reported to be 148 kg (326 Lbs), although this number can clearly be questionable as very low. Increased handling capabilities had to be peered with a Black Lightning specification and said to provide 70hp at 5,600 rpm. 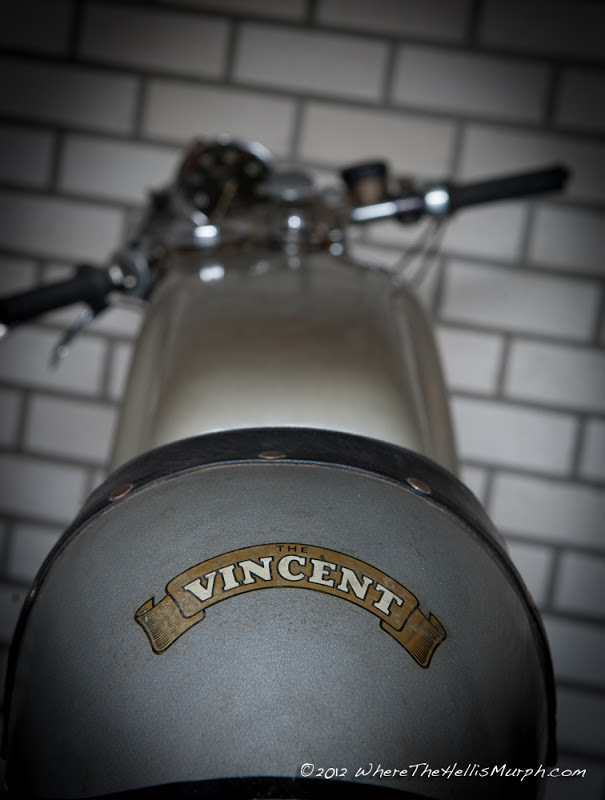 The Vincent clutch was simply replaced with a contemporary Honda CB 450 clutch, and a coil-battery combo replaced the magneto. 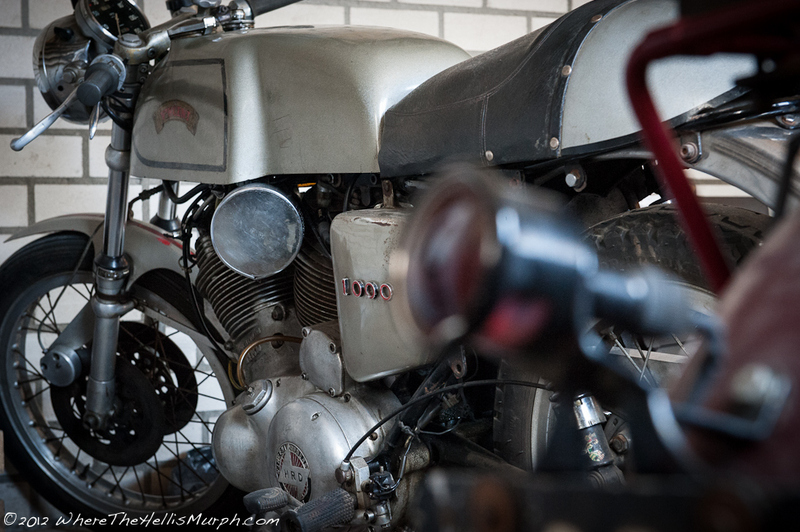 It is likely this machine that was featured in several European Motorcycle Magazines (3), although a few details differ between the bikes presented herewith. 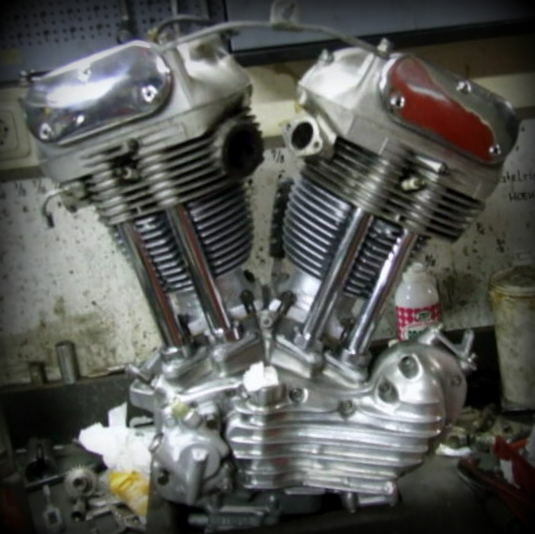 If you do some research on Cees Fick, you will also find that he “invented” the hybrid Harley-Matchless mentioned earlier, converting a war horse, widely available in military surplus, into a more noble side valve engine. This recipe made him famous, and as he built a few of them for Choppers, he also inspired many more who did the conversion themselves. The result is quite pleasant. 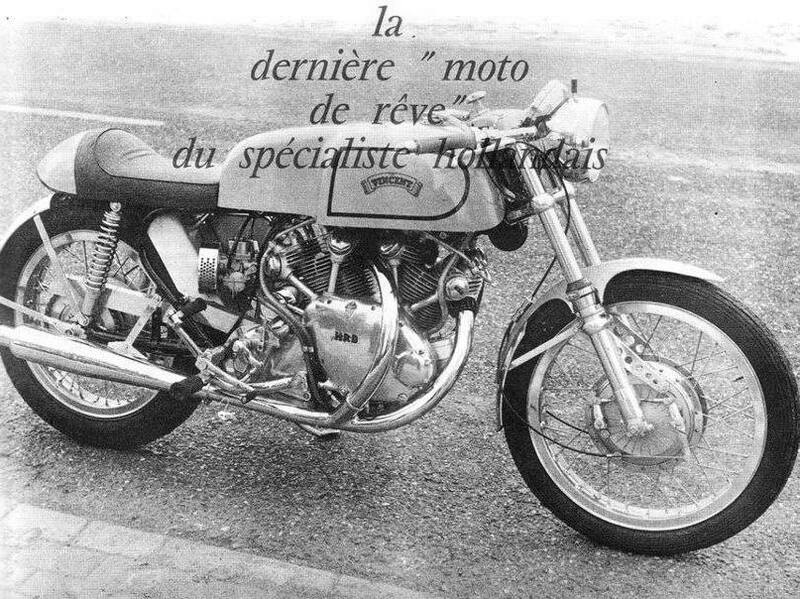 This bike had the Black Lightning spec developing 70hp, The rear loop “open well the engine and he rear carburetor has plenty of space | This picture was publish in a French magazine. This picture unveils the Cees Fick architecture: a stock RFM, a conventional swinging arm, a tubular rear frame, 2 shocks and a Ceriani front fork. 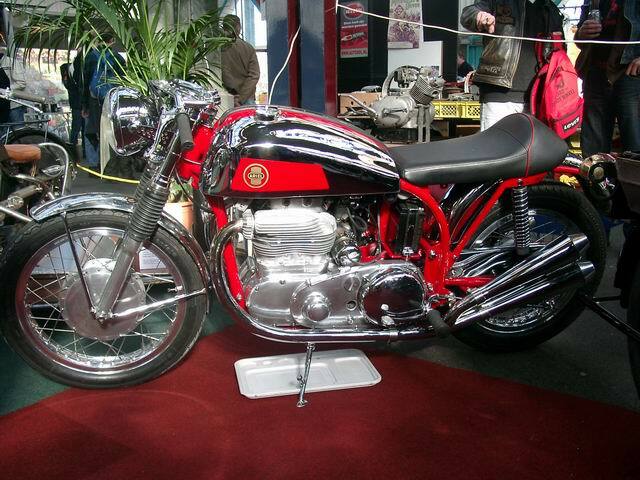 Another Café Racer based on the Norton Featherbed and the Harley Davidson 750 WLA on which Cees Fick has transplanted Matchless Cylinder heads. It is commonly recognized that Cees Fick “invented” this combination consisting of converting this war horse widely available in military surplus into a more noble side valves, and made him famous as he built a few of them that were also fitted on choppers. Jan Hanlo’s deadly crash in 1969 on his Rapide when he hit a tractor wich was suddenly changing direction. 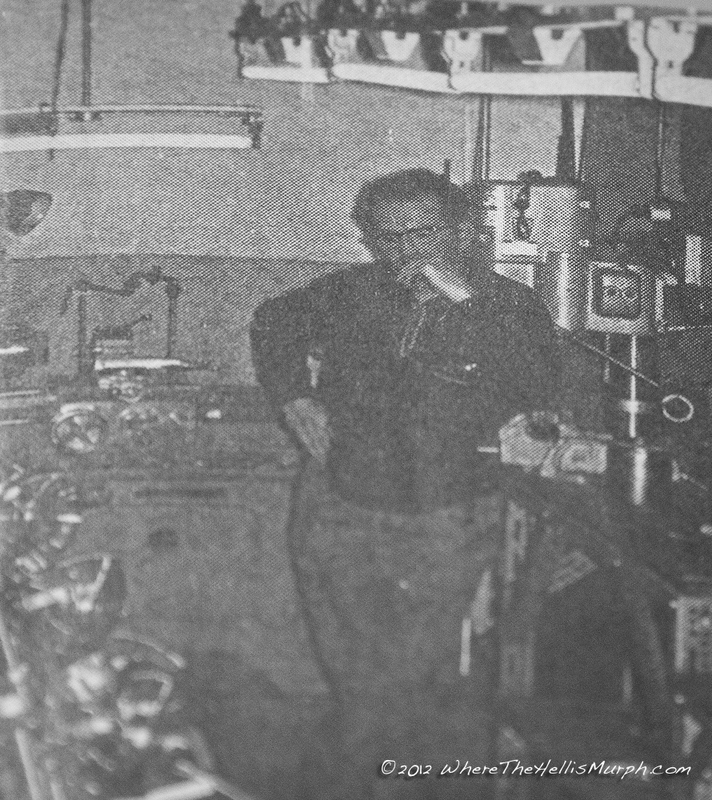 (1) Information reported in a French Magazine in 1970 by Coen Verburg, however I did not find trace of such engine. (3) Including Motors, a Dutch magazine and Coen Verburg in a French magazine that I just have copy with no the mention of the title.